Welcome to Brazos Valley Mazda’s Finance Department! Our expert finance staff are ready to help secure your next auto loan or car lease financing. We’re a highly knowledgeable team and can help provide financing advice for your new or preowned car. We know the car buying process can feel hectic, but our friendly finance team know just how to help. If you’re eager to get started, check out our online car loan calculator for an instant car loan rate. Then, proceed to our online finance application to start the car loan application process. Using these tools will help you secure the vehicle you’ve been waiting for. We’re proud to work with all types of credit, whether good or bad. Nearly anyone can qualify for an auto loan. If you’re without credit, don’t fret! We’ll work with you to secure a no-credit car loan if your situation demands it. 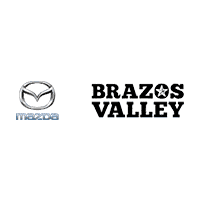 Brazos Valley Mazda has strong industry relationships and is committed to finding you the perfect car loan to suit your exact car finance needs. If you already have an existing loan, we can help. We’ve helped countless customers refinance their loans or adjust the term of the contract. Call or visit us today. We’re happy to answer any questions you may have.